What Is Sony Tablet S? How to Convert DVD to Sony Tablet S Format with Leawo DVD Ripper? Since Apple company has released iPad, Sony begun to launch its design on tablets with heart and soul. Finally in 2011, Sony Tablet S, the first tablet computer designed by Sony company, has been released. Featuring a “unique asymmetric design”, Sony Tablet S is wedge-shaped and curvaceous which makes it like a book and has been folded out of a single piece of textured black plastic. This unique appearance makes it comfortable when the tablet is laid on flat floor. You will only need one hand to grip it for web browsing and reading books. Besides its appearance, Sony Tablet S has a powerful inner operating system — Google’s Android Ice Cream Sandwich 4.0. It owns a 9.4 in 1,280 x 800 multitouch display and 1 GHz Nvidia Tegra 2 dual core processor, not to say front and rear-facing cameras, Wi-Fi, Bluetooth and infrared sensor. Furthermore, with Sony Tablet S, you will be able to enjoy up to 8 hours of battery life to watch movie, listen to music or surf the web. Since Sony Tablet S has such a high resolution screen, it will be your best choice to watch various videos on it. What video formats does Tablet S support? Actually, MP4 is the only format that Sony Tablet S supports. So how to watch other formats movies on Sony Tablet S. Under the circumstances, you will need the help of video converter to convert various formats videos to MP4 format. Here, I will introduce Leawo DVD Ripper to help you convert video format to Sony Tablet S video format for watching. 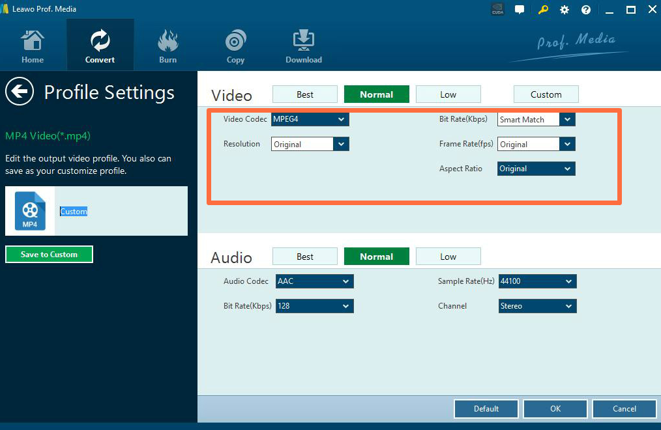 As a professional DVD to video converter, Leawo DVD Ripper could help users to convert practical, professional and powerful DVD to video and audio in 180+ formats, like 3GP, MP4, AVI, FLV, RMVB, etc. In addition, Leawo DVD ripper can also act as a video editor. And it can help you to select subtitles and audio tracks from source DVD movies for output videos. It has 6X-faster DVD ripping speed and guarantee 100% original quality. Besides, Leawo DVD Ripper allows you to set the output effects according to your personal preference. Now let’s take a look at the detailed instructions. Step 2. Load DVD content. Enter the main interface of the software. 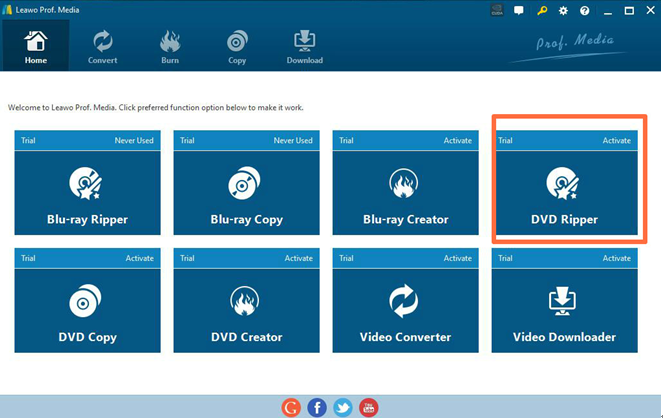 You can click Add Blu-ray/DVD button to import DVD disc, folder or ISO image files. You can also just drag the DVD file to the main interface. Step 3. Select output format. There is a drop-down box named MP4 Video (or other formats) by default next to Add Photo button. And you can find Edit, Change and Apply three options. You can click Change to enter the Profile panel to select the output format (MP4). Also, if you want to set the parameters of the video, you can select Edit to enter the editing panel including Video Codec, Bite Rate, Resolution, Frame Rate and Aspect Ratio. Step 4. After adjusting the video settings, click OK button and then click the big green Convert button. Then you will be required to select final saving route in the Save to box. Finally click Covert button below to start the video ripping process. 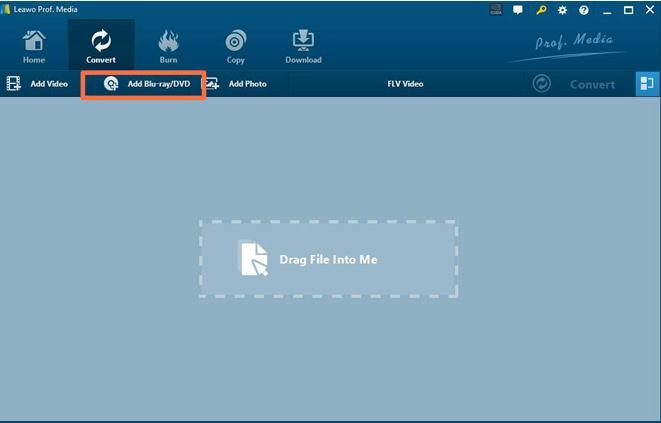 By following the above steps, you will obtain a converted DVD video in MP4 format in several minutes. 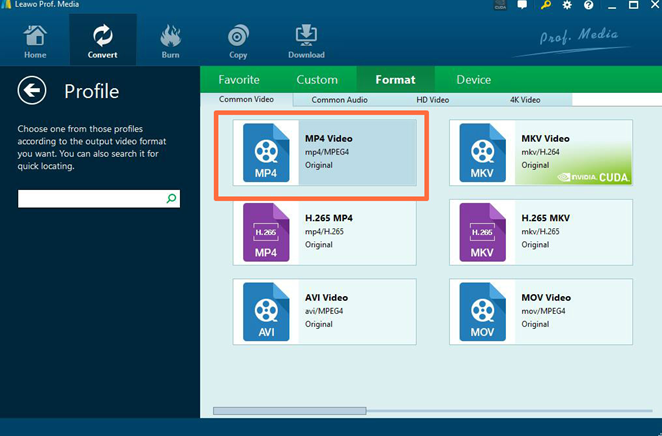 Then you only need to upload the MP4 video to your Sony Tablet S to enjoy the fantastic video. Therefore, in order to play various formats videos on Sony Tablet S, you need to convert these videos to MP4 format which is compatible with the device. Leawo DVD Ripper could easily help you to obtain the MP4 video with ease and speed. Just download the program, then you can convert various DVD movies onto Sony Tablet S and enjoy the movies on the go. Besides Sony Tablet S, you can also convert DVD to Chromebook and other portable devices for non-stop DVD watching experience.